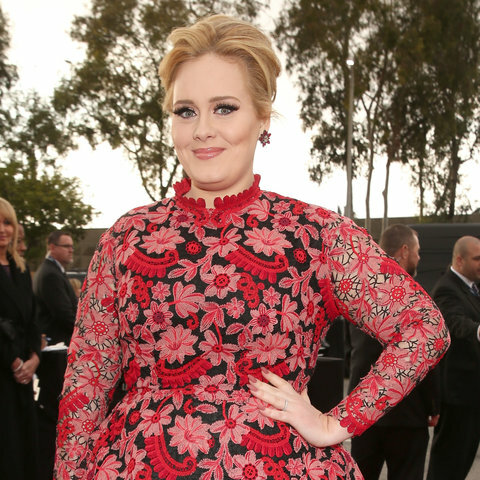 WE GET A BRAND-NEW ADELE SONG TOMORROW!!! Named for the age she was while writing it, “25” will be released on Nov. 20 via Columbia in the United States. The 11-track album comes close to five years after “21,” which sold some 30 million copies worldwide and won seven Grammys. The album’s debut single, “Hello,” will be available to purchase and stream on Oct. 23; a video for “Hello,” directed by Xavier Dolan and shot near Montreal, will also be released that day. “And I’m sorry it took so long, but you know, life happened,” she wrote. 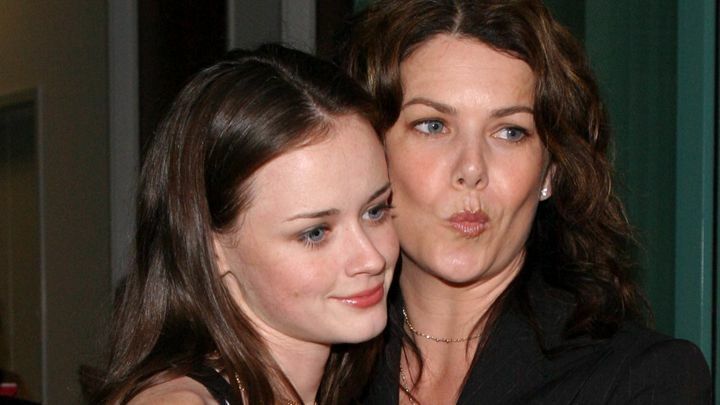 WE MIGHT GET BRAND-NEW GILMORE GIRLS AMAZINGNESS!!!! After giving new life to Full House, Arrested Development and Mr. Show, Netflix is once again in talks to revive another beloved series: Gilmore Girls. Actresses Lauren Graham and Alexis Bledel, who portrayed the mother-daughter duo Lorelei and Rory Gilmore on the dramedy series, are in talks to reprise their roles and return to Stars Hollow for the Netflix series, which could go into production as early as next year. The series originally ran from 2000 to 2007. According to The Hollywood Reporter, the Netflix revival would feature four 90-minute movies as opposed to the conventional 10 to 12 episode order. Although the WB/CW originally aired Gilmore Girls, Netflix had firsthand evidence of the show’s enduring popularity, as reruns were a “strong performer” on the streaming service. In addition to locking in the lead actresses, series creator Amy Sherman-Palladino will also return to the fold with the revival; a contract dispute prevented Sherman-Palladino from working on Gilmore Girls’ seventh and final season, and her participation in the revival would bring a sense of closure for fans. WE ARE GETTING NEW DAVID ARCHULETA MUSIC SOON!!!! THIS IS NOT A DRILL!!!! The album features Sara performing songs from the new Broadway musical she composed. This is the first song I’ve heard from it (it’s been released as a single) and I dare you not to burst into tears. Stunningly beautiful. I don’t know why but I can’t stop staring at this picture. The contrast. Like a grizzled older dude who’s lived, you know, is looking in the mirror at his younger self. To back when he wore his first cap and it took over his head and made him look 8, except that he was 8. Back when his eyes were bright and hopeful and he glowed the glow of those with a pure heart. Back when the world was his oyster, which thrilled and terrified him at the same time. And there’s a #food tag so you know they gave David snacks, which makes me happy. This entry was posted in Fan experience and tagged Adele, David Archuleta, Gilmore Girls. Bookmark the permalink. And I don’t speak Spanish, but I think I understood the part where they asked him what he learned, or what his biggest challenge was on his mission, and I think he talked about how much he values his privacy but of course that was impossible with a companion 24/7. Wow, he is an amazing communicator, lol. Any day that’s a 3-spazz day on SnowAngelzz is a great day! I’m not a fan of Adele–or any other living female vocalist (I’m weird)–but the other two have me happy dancing to the max. The Harv and I spent many a good evening watching “The Gilmore Girls.” And “Numb” was my favorite performances in Idaho so I am edge-of-seat excited to be getting more new Davidy goodness. Love your Christmas playlist, Ms.B.! I love Ella & Karen too, along with Linda Ronstadt and Joni Mitchell… actually a lot of female vocalists, so I’d better stop now, lol. 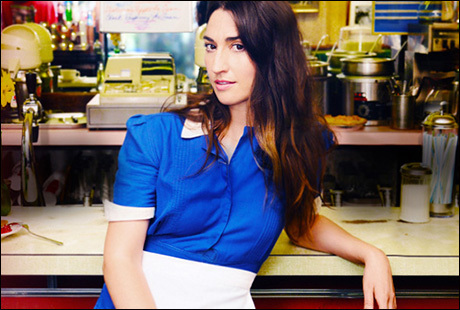 Just added a spazz alert #4 – new Sara Bareilles release! Woooot! There are lots to spazz about! David’s performance at the dress rehearsal last night is getting lots of spazz on twitter especially his duet with Lupe. I think there will be some material for TOfan to parody too with David’s sombrero/poncho costume. I also love how David goes from wearing a thug cap to suit and tie in large Spanish religious production. And I think I love the Spanish Glorious best. 🙂 The hashtags on this are priceless! I never thought I’d say this, but I’d love to hear David and Lupe duet on The Prayer.